Scott: Let’s start with automation. How does that capability affect client agency relationships? Cory: As usual, email comes to mind. It’s just so easy to treat email services as a “set it and forget it” tactic. But with that kind of attitude, email may as well not exist. Because if you forget that you're doing something, then you're probably doing it wrong. That’s the challenge with many modern agencies. Account people are not incentivized to keep working hard on a client after the deal is closed. They don’t continue to test and experiment. They’re not curious if they’re actually doing email right, or wondering where it might be done better. They’re simply checking a box and moving onto the next client. Kevin: Yeah, and the effort on the part of agencies can sometimes go towards activities like dressing up the numbers or making the slide deck look better. And of course, good presentations are better than bad presentations. But there is an over emphasis on making poorly done work look good, rather than simply executing great work. Cory:	The good news is, there isn’t an unlimited amount of automation that can be set up for email marketing. It’s a finite thing. Meaning, what you can do is make your strategy much better with real, curious, focused human labor. Kevin: On the paid marketing side, we certainly try to automate as much science as we can, i.e., black and white tactics, hard truths, certain elements of bidding, and so on. Those things don't change, but the context around them changes. And true marketing experts understand context better than most machines do. Our job is to have deep empathy and perspective. To understand the context regarding what the tools are doing and how we're using them. That's more of an art, i.e., creative writing, image assets, testing, etc. And it takes a human being to understand why campaigns achieve (or don't achieve) certain results. Scott: Let’s move into your day to day client work. What if a project creeps outside of your scope? Cory: With email, we’re completely up front with a client if there's a piece of a project that they want to do, but we can’t. For instance, I'm not a graphic designer. I can help take clients pretty far down that road by making an effective email template for them, but if they want a new design for their brand identity, sorry, that’s not what they’re paying me to do. They’re not paying me to create their brand. They don’t get a designer when they hire us. But clients appreciate that candor and respect our hard boundaries around scope creep. And ultimately, they know they’re getting the best specialists in the performance marketing industry. Kevin: Cory’s story ties to the problem of marketing agencies trying to be all things to all people. We call this badvertising, and it’s the equivalent to hiring an architect who also tries to do construction, frame your house and secure the land regulations with the government. They're over extending themselves. And no company wants to hire a marketing vendor like that, because it typically ends up with a lower output on several channels. Cory: That just made me think of a related illustration. A handheld screwdriver is a better screwdriver then the screwdriver on a Swiss Army Knife. One hundred percent of the time. Meaning, if we can’t execute a certain request, we will tell clients on day one. Which they appreciate, because once that’s out of the way, the real work can get done much faster and without interference. 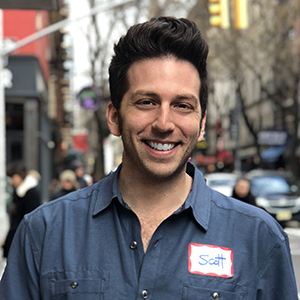 Scott: What other insights on transparency have you gleaned from working with brands of all sizes? Kevin: The key to having transparency conversations is doing so as early as possible. That speeds things up down the road. Now, we don't want to be doomsday sayers. We may be skeptical, but we’re not cynical. And as the CEO, I'm the one that usually has to have that actual conversation. NOTE: For the record, when we say "transparency," it's regarding brands owning their ad accounts and the data within them, as opposed to their agency owning them. We explored this in depth on our previous post about the shifting agency landscape. But there's no black and white approach to transparency. The context is everything. If we warn a Fortune 500 company who is working with another agency besides us, and potentially getting taken advantage of, empathy is crucial. After all, the context could be negligence, not malice. Their previous toxic agency relationship could be a function of simple operations, not complex politics. The key to remember is, we’re all human and everybody make mistakes. Every company makes mistakes. Transparency isn’t a strategy, it’s an expression of our agency’s deeply held values. We feel it out with each client. Overall, though, I am highly encouraged by every conversation I'm having with companies. They’re much quicker to change tactics to something more performance oriented than they used to be. Scott: Considering all the shifts in the agency world, do you think it will move into a more consultative approach? Kevin: Well, you can look at stock prices for the big four agencies and many are going in a direction that indicates that they're not doing a good job. More and more money goes to consulting companies like Deloitte, Accenture and McKenzie. 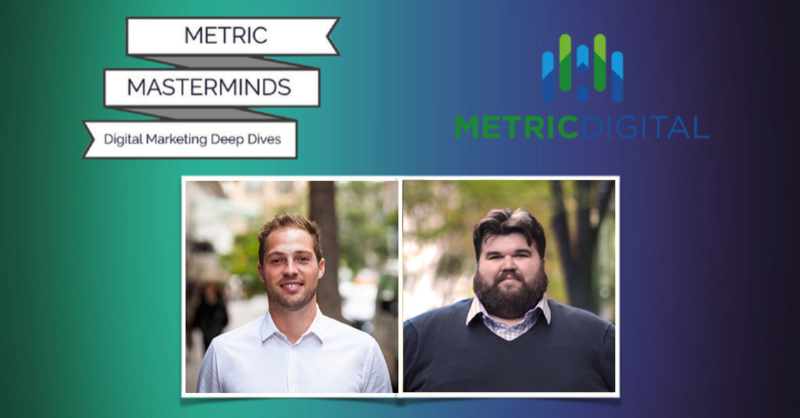 We know this because many of our team members at Metric actually came from the consulting world. And the benefit of that consultative approach is, you’re the independent third party. You can be the bad guy, and nobody gets hurt. Kind of like a marriage counselor. The therapist lets couples talk to each other about sensitive issues, but with a human mirror reflecting back to them how they might see reality more clearly. That reminds me of a compelling article from Harvard Business Review. 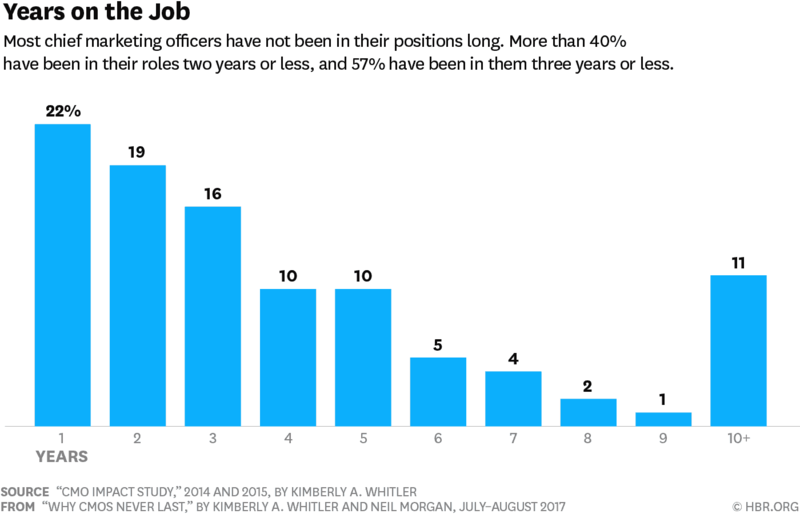 Whitler and Morgan explore research that shows that CMOs have the lowest tenure of any role in the C-suite, averaging only 4.1 years. Much of that has to do with the shift of what marketing used to be, versus where it is today. And what it used to be was less measurable. But now, there isn’t any channel or strategy that you can’t measure and optimize. There’s a redefining of what the CMO’s role is, and it holds those people accountable to real results. Which is a good thing. Since measuring has become the norm, there will be less room for smoke and mirrors. Scott: Overall, how do you feel about the direction digital advertising is going? Cory: One trend is, people know just enough to be dangerous. Which means it’s a really good time to hire a performance marketing agency. Look, our job is not only to make our clients more money, but to make them more confident and intelligent. Many companies are now at the point where they might not actually be able to do performance marketing themselves. Even if they think they can, they probably can’t take it over the finish line. That’s where we step in. We’re not going to obfuscate data. We make the client smarter, which helps their brand grow, which makes our job easier. Kevin: Personally, I read as much as possible about all of these shifts that are happening, and I am extremely happy with the direction all of this is going. I wish it would go faster, but then again, I would say that about most things! 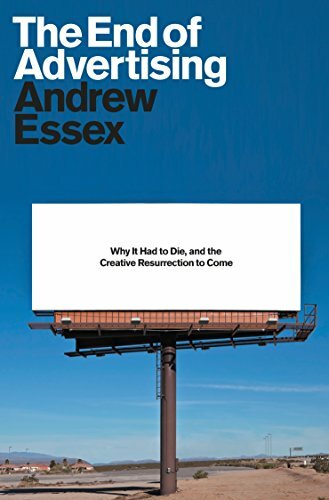 What’s encouraging is that Andrew Essex, former CEO of Droga5, came out with his compelling book, The End of Advertising. He’s probably the highest profile person who put that much dedication into a singular message about how this is all coming to an end. And people are listening. Increased turnover is causing companies to question what's been done, and move over to newer, smarter and more results oriented agencies. Scott: Do you think the digital chickens will come home to roost? Kevin: When it comes to Facebook performance marketing, I've been doing this since you can do this. That's about seven years. Which may seem like no time at all to some executive who’s been in print advertising for twenty five years. But having been there since day one gives our agency a leg up. Based on the dramatic growth of our referral pipeline in the past twelve months, it’s clear that the old school industry veterans are finally starting to step up their performance marketing game and ask for help from firms who execute it best. That’s the most encouraging part of all. And now I'm kind of hungry for chicken. Thanks for your insight guys! What Marketers (And Brands) Need to Know About the ANA Media Transparency Report There is a growing desire to create greater clarity and trust within the advertising industry. ANA is establishing higher standards of accountability for digital brands and promoting transparent business practices in the digital marketing world. Digital Marketing Misconceptions From A Recent College Graduate Here are several of the misconceptions I had going into this business, along with how they’ve shifted over the past year. Whether you’re a recent college graduate, a seasoned veteran of digital marketing, or a small or large brand hoping to acquire new customers, pay attention. The ROI of Structure, Part 2: Optimizing Paid Shopping For Your Ecommerce Store As an ecommerce store owner, take the extra time to optimize your paid Shopping from the moment you launch. You’ll sell more, waste less and set yourself up to leverage customer data across all of your marketing channels.